With a population of almost 3 million, Addis Ababa is the largest city and the capital of Ethiopia. Over 100,000 people in the capital are engaged with trade and commerce, making Port Addis Ababa a busy and desired port for many clients both importing and exporting cargo. However, Ethiopia is a land-locked country, and Port Addis Ababa is actually located in Djibouti, where Ethiopia’s cargo is transported through the Addis Ababa railway into the Port of Djibouti. A significant import into Addis Ababa is construction equipment and automobiles, but other goods, with the exception of liquid bulk, are transported there as well. Port Djibouti and Addis Ababa can accept Caterpillar, Kobelco, Hitachi, and Komatsu equipment, as well as all types of vehicles, both in containers and on roll-on/roll-off vessels, for import into Ethiopia through Djibouti. Cargo transported to Ethiopia through Djibouti accounts for more than 70% of all cargo transported to Djibouti, which is approximately 4.8 million tons. 95% of Ethiopia’s trade is accounted for through the cargo imported and exported in Djibouti. 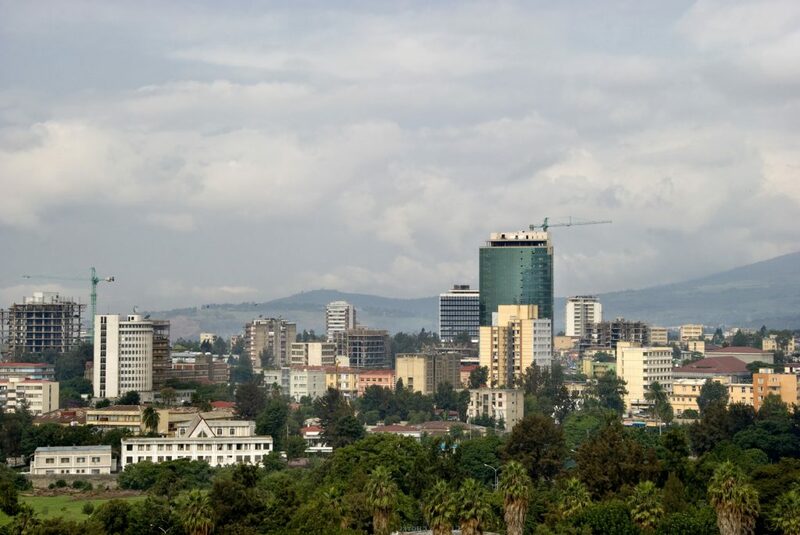 Addis Ababa is considered the “political capital” of Africa because of its political and economic significance in the continent historically. Because of the high volume of cargo going into Ethiopia from Djibouti, Port Djibouti is considered a major transshipment center. For more information about Addis Ababa and international shipping services to Ethiopia through Port Djibouti, visit our rate request page to receive an international car, high heavy, construction equipment and container shipping quote or to receive more information on our international shipping services.